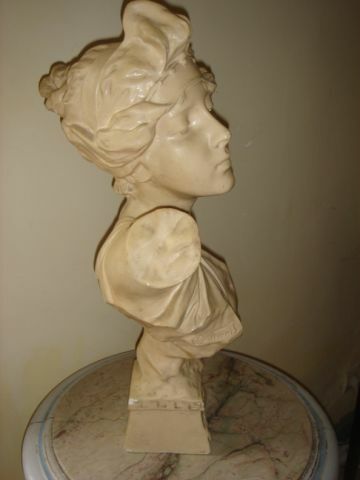 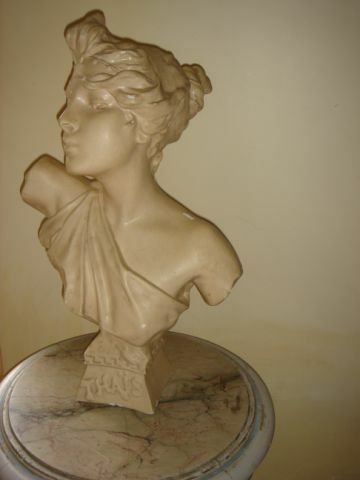 This is a very elegant plaster bust dated around 1900. 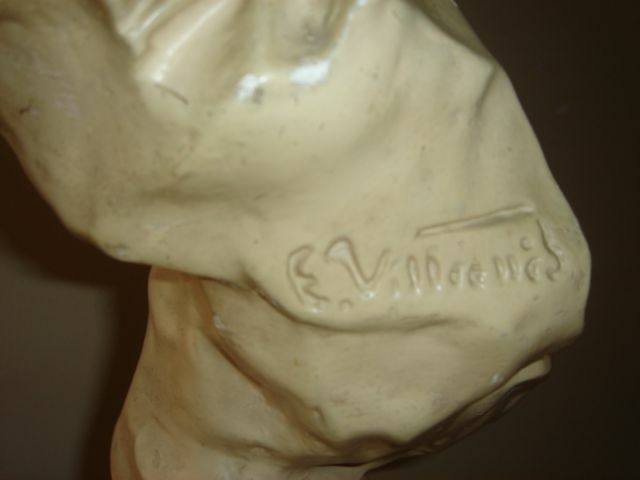 The bust is in very good condition, having only a couple of minor scrapes in the original paint. 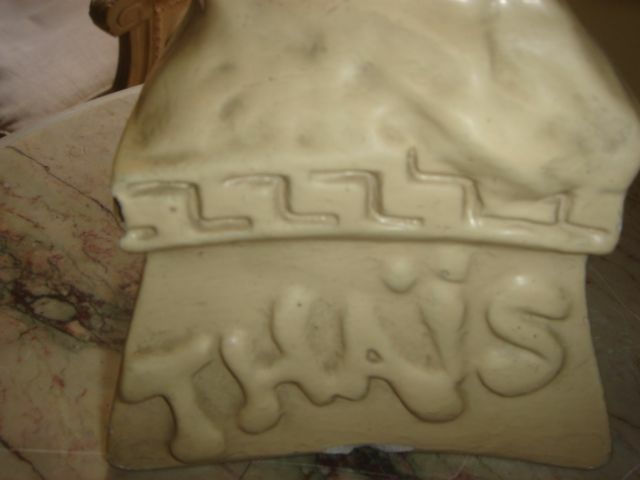 She is stamped Thais on the base and is also stamped with the maker’s signature.